Shows like a model. 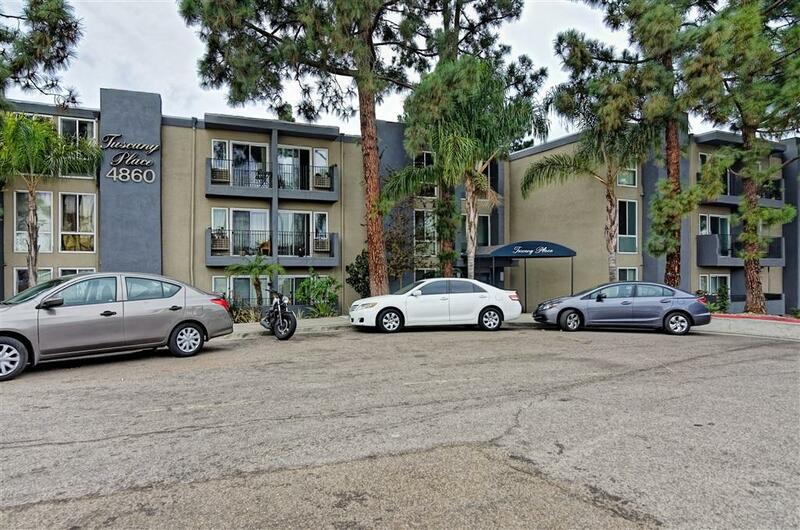 Super 1-bed/1-bath ground floor condo inside gate-secured complex. 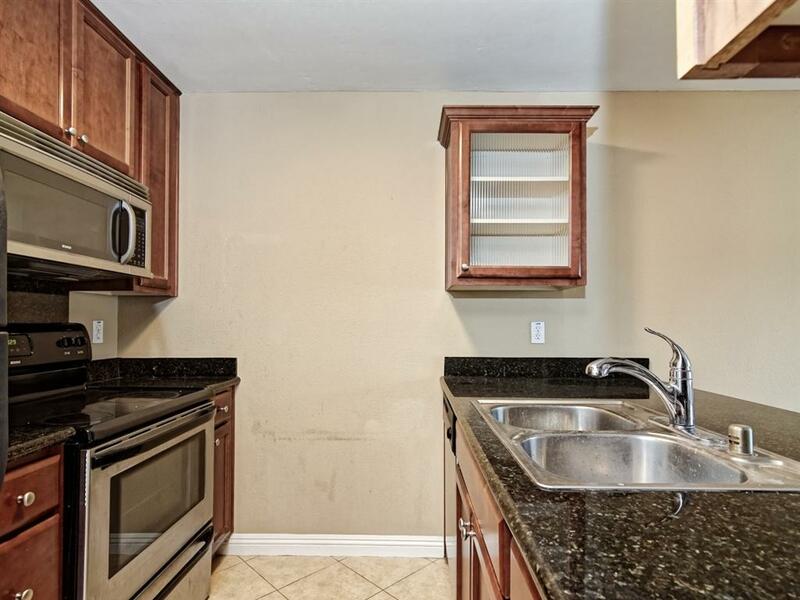 This upgraded condo features custom cabinetry, slab granite countertops, laminate wood flooring and stainless steel appliances. 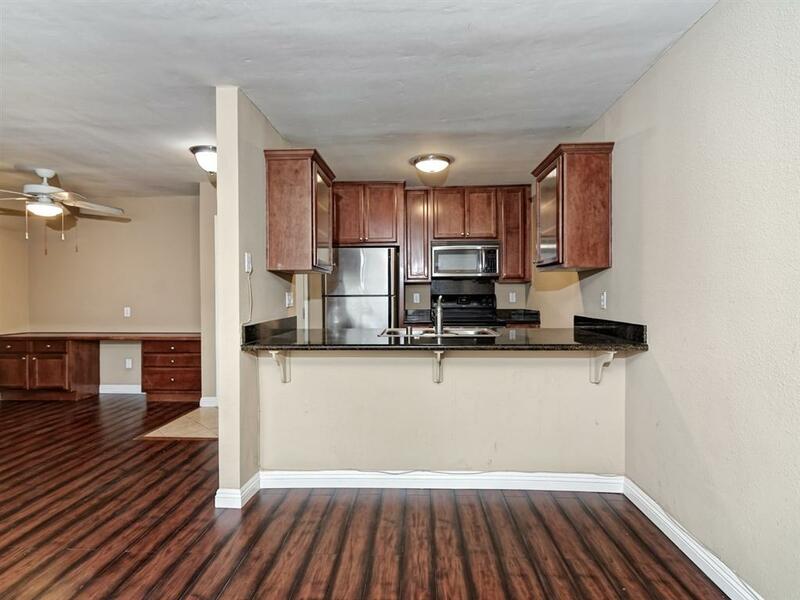 The community offers a swimming pool, Jacuzzi, gym, BBQ area & clubhouse. HOA pays cold/hot water, trash/sewer and fire insurance. 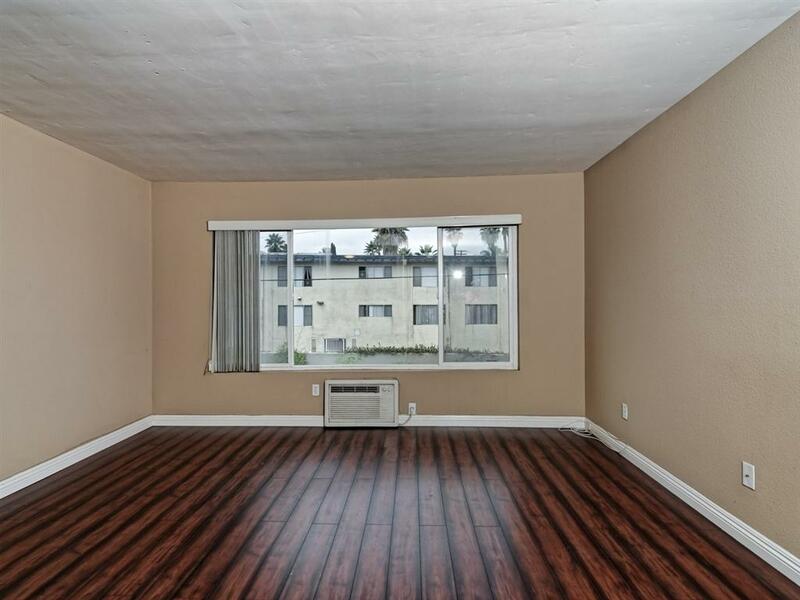 It is close to I-8 Freeway access & Metro transit and about 1 mile to SDSU and near to Mission Valley, North Park, Hillcrest for shopping, dining & entertainment.